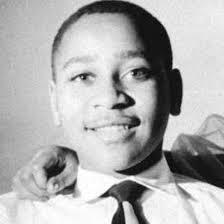 Emmett Louis Till born on July 25, 1941 in Chicago, Illinois To parents Mamie Carthan & Louis Till. (This one really tugs at the heart strings). Was the center piece for one of the most Historic events in African American & American history. The Summer of 1955 Emmitt Till & His cousin went to visit family members in Money, Mississippi. As the story goes on August 24th,1941 Emmitt, 2 of his cousins and some friends were going to the local grocery store to buy candy. Emmitt, reportedly whistled at Carolyn Bryant, 21 a white lady in front of the store, she was angered and went to her car to get a gun. All of the kids ran away, because of what Emmitt reportedly had done the boys were scared and decided not to tell their Uncle. 4 days later after finding out what happened Roy Bryant, 24 & his half Brother John Milam, 36 decided to go to where Emmitt was staying. THIS Summer August 28th, 2015 marks the 60th Anniversary of the Emmitt Till Murder. Writing this story really hit me in the gut, when you research the story i see all of the facts & misinformation it’ll make your head spin. The only good thing that came out of this situation was the creation of the Civil Rights Movement. Other than that this is one of the most horrific cases in American History. It’s so unfortunate that his killers were never brought to justice. Emmitt Till, you are a Martyr and a National Hero to many people. no one should ever be killed for whistling at another person, you were unjustly murdered. We Salute you, & hope you RIP.